Elmer "Geronimo" Pratt spent 27 years in prison for a murder he says he didn't commit. His conviction was later overturned. 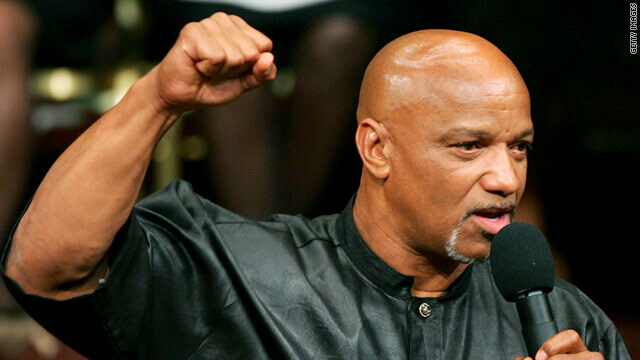 (CNN) -- Former Black Panther Elmer "Geronimo" Pratt, who was wrongly imprisoned for 27 years on a murder conviction, died Thursday in Tanzania, his former lawyer said. Stuart Hanlon, a San Francisco-based lawyer who helped overturn Pratt's murder conviction, said he did not know the exact cause of death. Hanlon called Pratt a "true American," saying that he was an Army veteran who served two tours in Vietnam before joining the Black Panther Party. "He could've been a great leader. He was very charismatic," Hanlon said. "His legacy is that he never gave up. He never got despondent or angry." Pratt's conviction became a rallying cry for rights groups that said he had been framed for his strident activism during the turbulent civil rights era. The victim's husband, wounded during the robbery attempt, originally identified another man as the killer. But the jury was not informed of that, the judge said. Famed attorney Johnnie Cochran also helped in the legal battle to get Pratt released from prison. Pratt spoke at Cochran's funeral in 2005. After his release, Pratt told CNN that he held no bitterness about the many years he spent behind bars. "I don't think bitterness has a place. I'm more understanding," Pratt said in a 1999 interview. "Understanding doesn't leave any room for bitterness or anger." Of the 27 years he spent in prison, Pratt said eight was in solitary confinement. He said his spirituality and love of music helped him through that period. "My mantra was the blues. It would go through my head when I was going through my meditations," Pratt said.